Nanny’s Pecan Pie and the I-40 Pie. 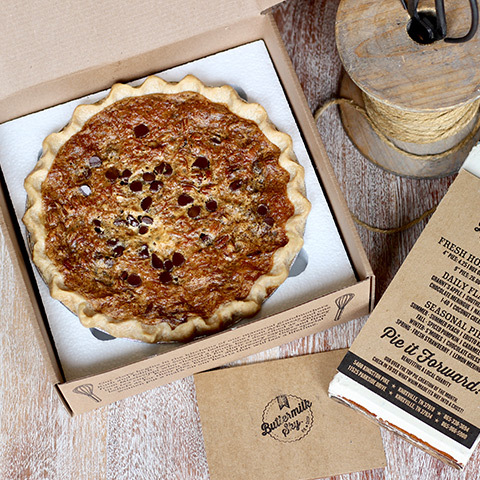 To have a pie shipped, please call your Buttermilk Sky Pie bakery. We ship Priority Mail to locations anywhere in the lower 48 of the United States for $15/product ordered. Most orders arrive within 2-3 business days. We use special protective packaging when shipping your handmade pies to keep your pie at peak freshness when it arrives, packing the pies tightly in crinkle cut paper. Buttermilk Sky cannot be held responsible for damages caused by shipper. 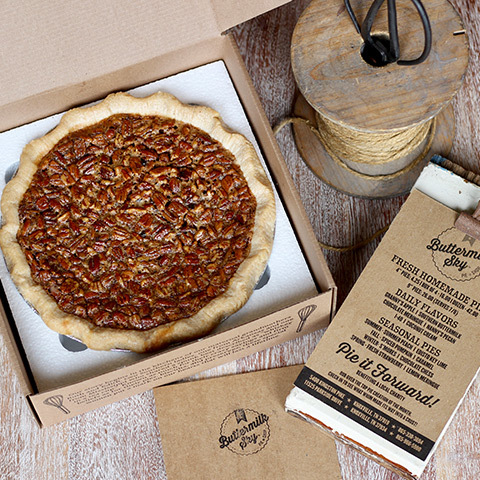 Buttermilk Sky ships pies to arrive at their destination based on your order date and shipper instructions. Please note we only ship pies out Monday-Wednesday so they reach their destination by the end of the week. Buttermilk Sky cannot be held responsible for late arrivals due to error of shipper. Our Ship A Pie feature will return Friday, November 23. Our No. 1 best selling southern classic. 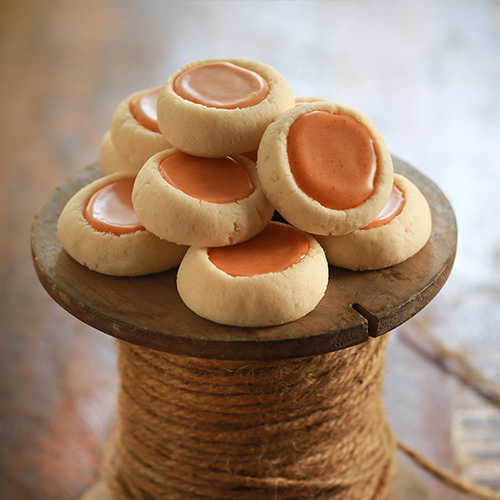 2-dozen of our signature thumbprint cookies. Housemade shortbread, with our perfectly sweet icing filling. 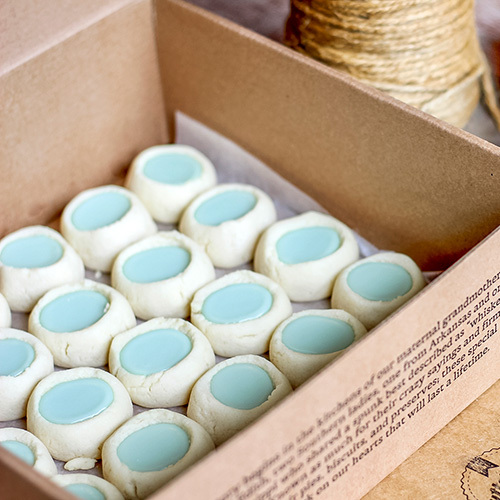 2-dozen of our signature thumbprint cookies. Housemade shortbread, with delicious pumpkin spice icing filling.